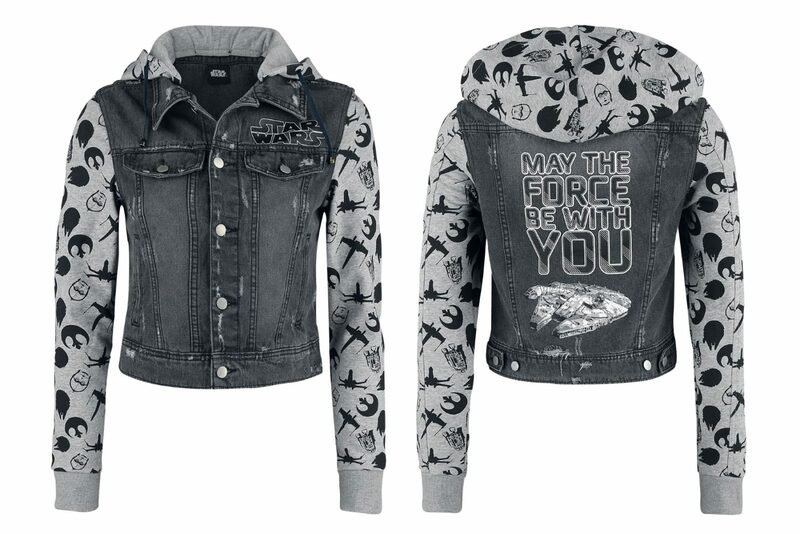 This women’s Star Wars May The Force Be With You hoodie is now available at EMP Online. 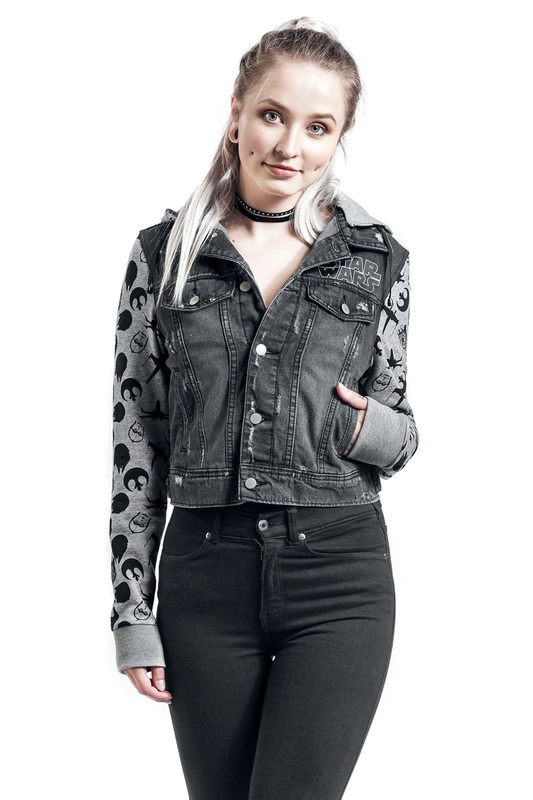 The hoodie has a denim jacket base, with knit fabric sleeves and drawstring hood. 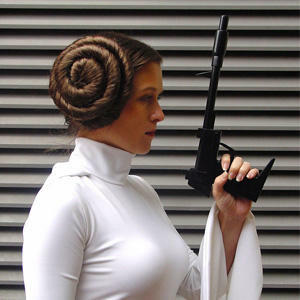 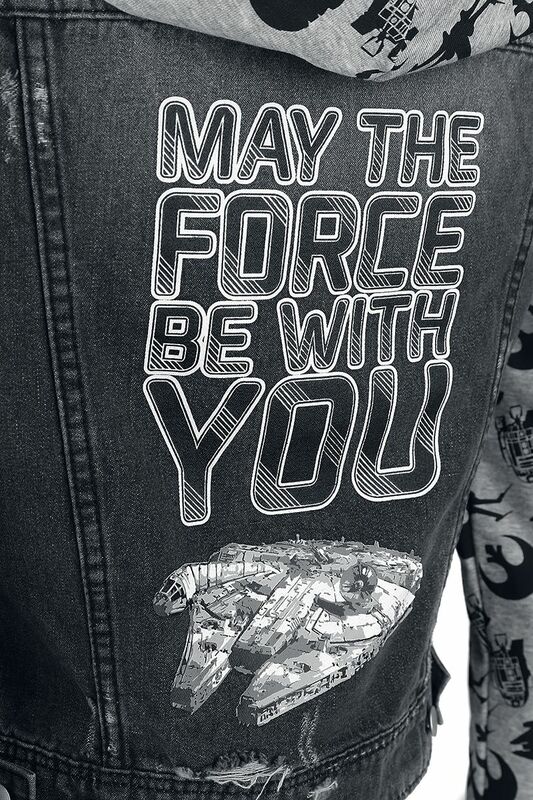 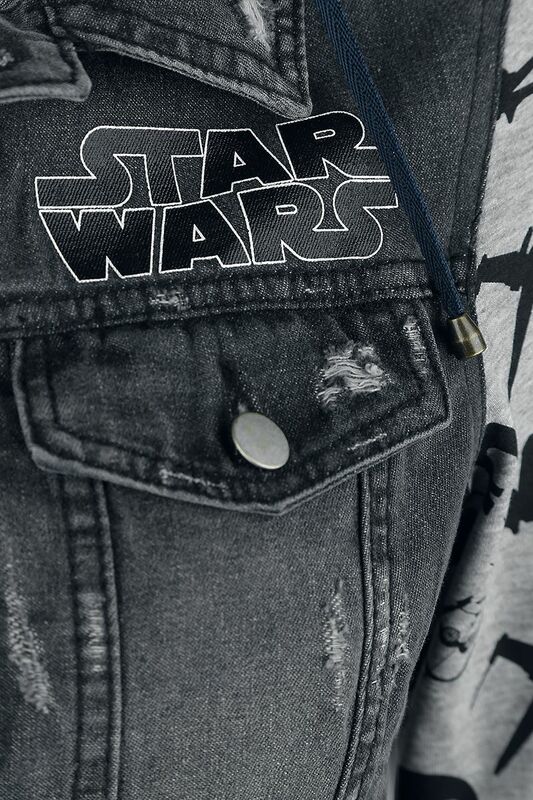 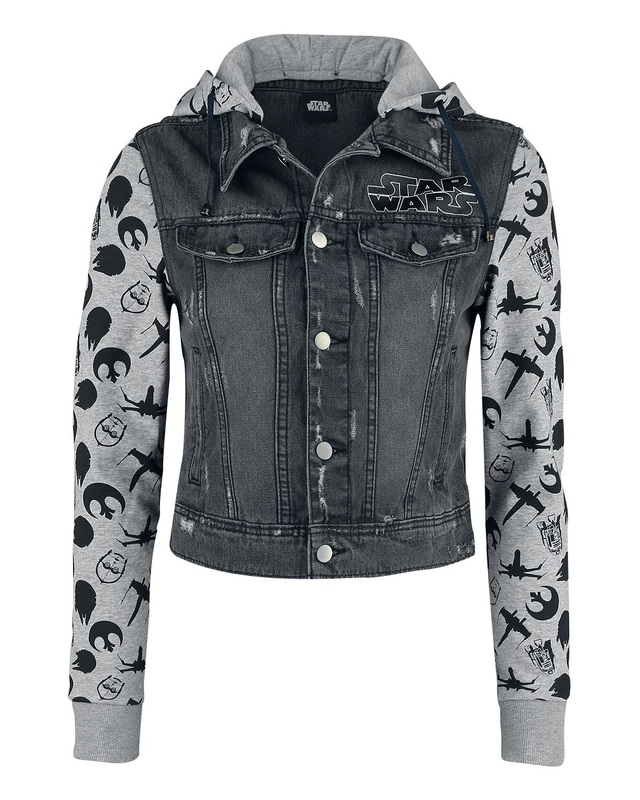 The front of the jacket features the Star Wars logo printed on the upper left chest, while the quote ‘May The Force Be With You’ is printed on the back, above the Millennium Falcon. 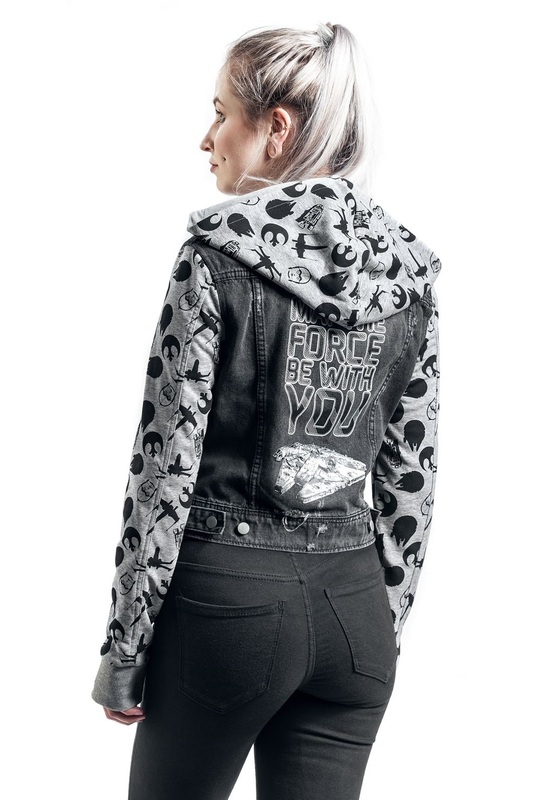 The hood and sleeves feature an all-over repeating print which includes the Millennium Falcon, X-Wing Fighter, Rebel Alliance ‘starbird’ symbol, R2-D2, and C-3PO. 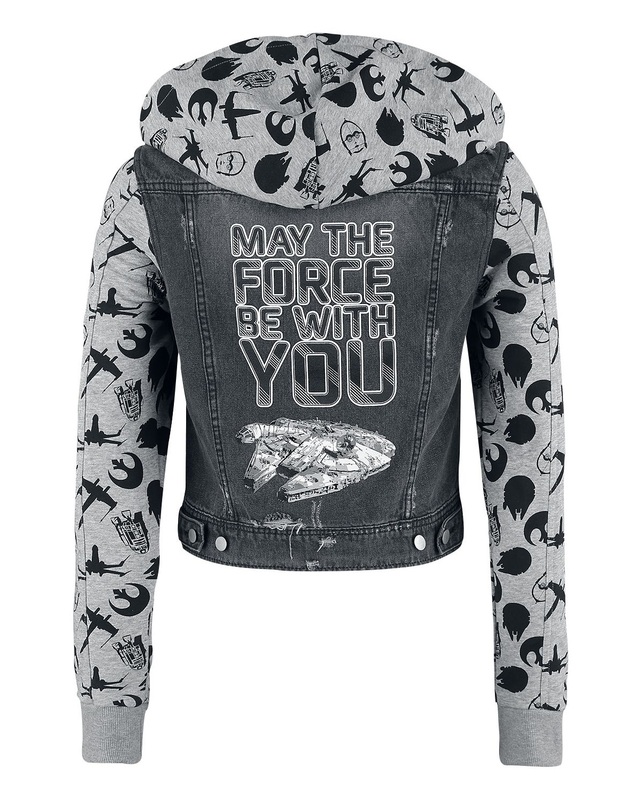 Available in sizes S to XXL, the hoodie is priced at €79.99 each (approximately US$90.78 each) – EMP Online can ship internationally.